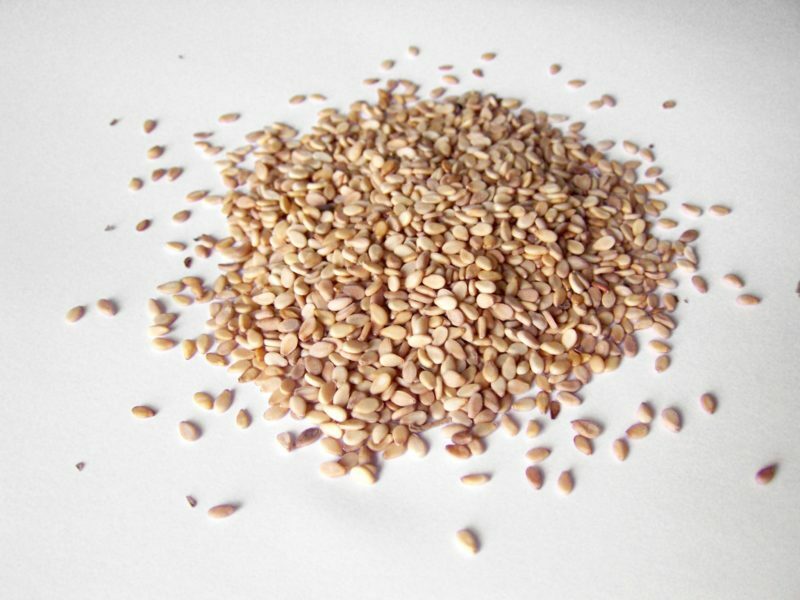 Sesame seed oil is, unsurprisingly, derived from sesame seeds! It has traditionally been used in Asian and Middle Eastern cooking, especially South India. Sesame has been cultivated for more than 5000 years simply because of its heat and drought tolerance, making it a staple crop. There have been many, many ways that sesame oil is extracted from the seeds over the years; nowadays, expeller pressing or “cold pressing” seems to be the best for maintaining oil quality (and you definitely don’t wait to buy the bleached stuff – yuck!). I like using sesame seed oil in my more Asian-inspired recipes, because it aids in creating a more authentic flavor profile in the dish. Plus, sesame oil has a high smoke point at 410 degrees F (meaning that it takes some serious heat to damage this oil!). As far as nutrition goes, sesame seed oil is essentially a blend of mono- and polyunsaturated fats. As we know, these fats are a great contribution to any diet, so sesame oil is a great way to get your PUFAs in while eating a Paleo diet. Like any product, it’s important to buy a brand of sesame seed oil that you trust. I recommend Spectrum Naturals found on Amazon or often in your local grocery store in the Asian Foods Aisle.